Our 3rd event for 2019 brings us to a lake wide event parallel to the Inaugural Hobie Bass Open Series. This TVKA event will be for Saturday February 23rd ONLY. K.A.S.T. rules apply so if you're fishing both events you will need only to have a visible flag at all times. NO PORTAGING for this event. There will be a virtual online meeting posted on the TVKA Facebook page. Link provided at the bottom. 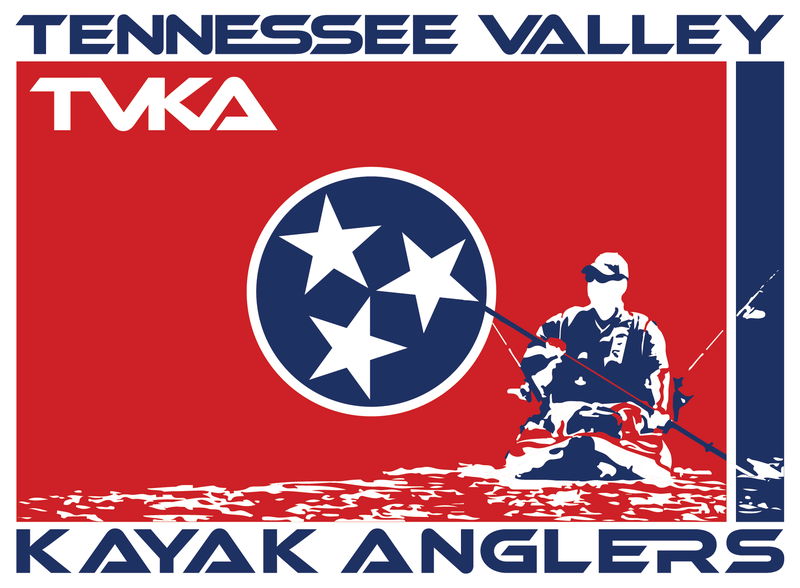 *TVKA AOY points will only be awarded to those who have paid their 2019 TVKA dues of $10.00 (if you don't plan on fishing 5 events to compete for the AOY award please do not pay dues just for this event. We would like for the club points to stay in state). *Payout is 100% to 1st, 2nd, 3rd, and Big Bass after the Paypal and Tourney X fees. *Public launch accesses are launch areas available to all of the public. Areas start at below the Watts Bar Dam and end at the areas above the Chickamauga Dam. From Lake Chickamauga east up the Hiwassee to the I75 Bridge. The areas east of the Wolfteever area on HWY 58 are in bounds. 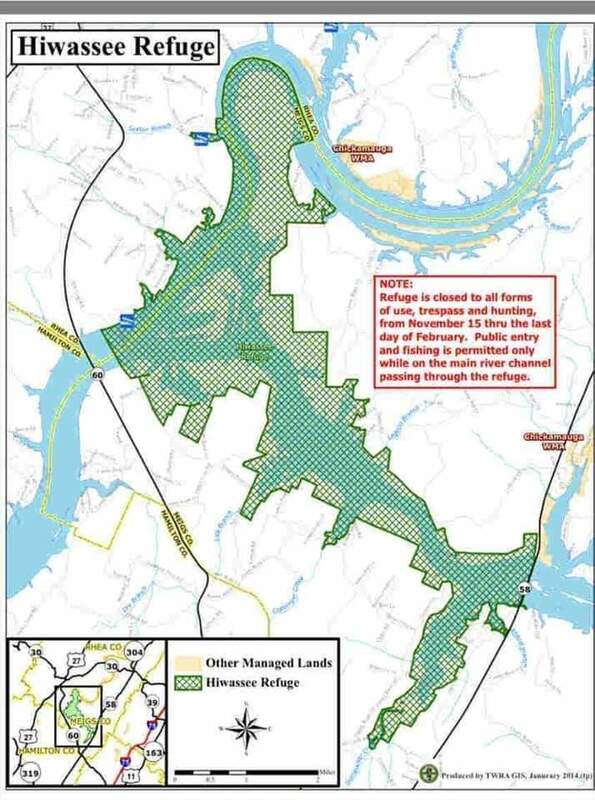 TWRA Hiwassee Refuge lockout applies. See attached photograph. ENTRY FEE: $30 and includes entry into the Hog Farmer Big Bass side pot. Additional fee of $5.00 for Tourney X.